We use products on a daily basis, but often we do not think that they will harm us. Unfortunately, many of the products we regularly use can present major health and injury risks. The U.S. Consumer Product Safety Commission reports that defective or unsafe products cause 29.4 million injuries and 21,400 deaths each year. While you may feel responsible if your loved one is injured by a product defect, in reality, dangerous products are most often the responsibility of their manufacturers. 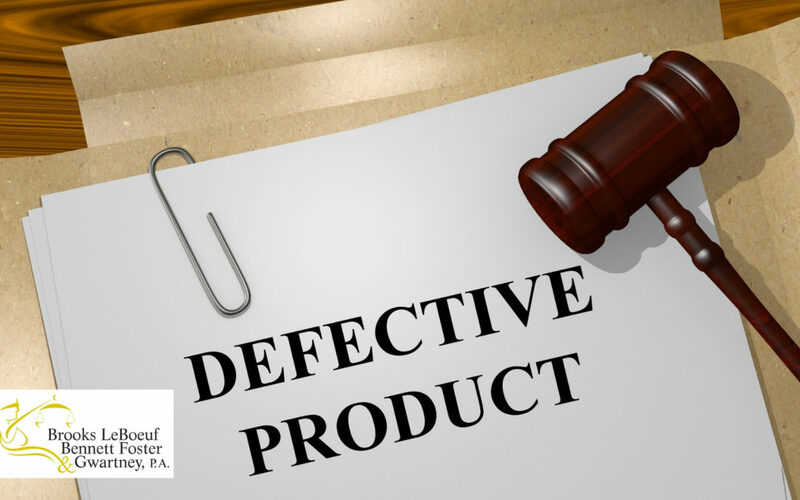 If you are injured by a product defect, it is important that you do not wait to contact an experienced product liability attorney as soon as possible to understand your rights. There may be many avenues of recourse available to you. The first step is to speak to a knowledgeable local attorney and receive a free evaluation of your case. Generally, there are three types of product defects that can make a product dangerous. The first is a manufacturing defect, where the product has been manufactured incorrectly. Second, a design defect can result in faulty product design and can lead to a potential harmful risk. Third, a failure-to-warn defect, where the manufacturer of a dangerous product fails to warn consumers about any dangers associated with using the product. Unfortunately, despite strict product safety regulations, dangerous products are still produced and sold. There are measures, however, that you can take to help protect yourself and your loved ones from these dangerous product defects. First, we encourage you to pay attention to any product recalls sent to you. We know it can be easy to ignore a notice in the mail, but following up with the manufacturer can help you get dangerous parts replaced. You can also research product recalls online if you suspect a product you own is not functioning the way it should. Further, you should pay attention to hazard labels and make sure you are following product usage guidelines correctly to minimize the risk of being harmed. If you have a small child at home, paying attention to age labels is important. Even if you think that your child can safely play with or use a product, you may be putting them at risk if they are below the age stated on the product’s age label. Also, simply paying attention to products that visibly look broken or parts that look loose can help protect you from harm’s way. We know that it can be scary to think about products we use every day harming us or our loved ones. If you believe you own a product that poses a potential hazard, we encourage you to contact the Consumer Product Safety Commission to file a report. As always, do not wait to ask us your questions and contact us to schedule a free case evaluation. We are your local attorneys, here for you 24 hours a day, 7 days a week.